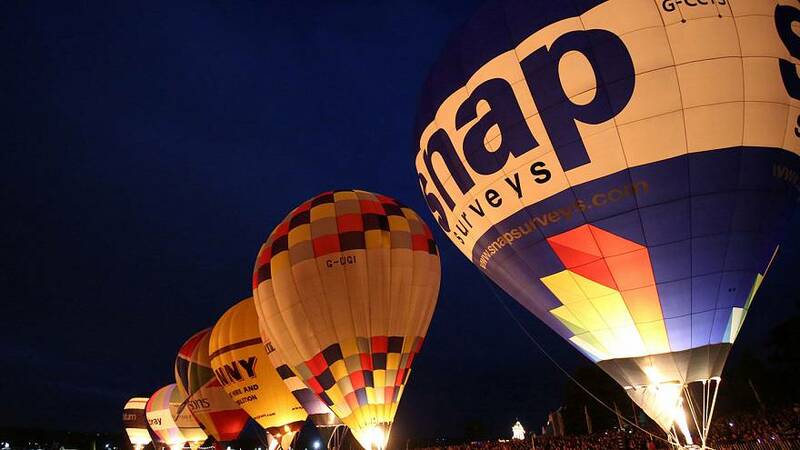 Hot air balloons lit up the Bristol night for a musical performance at Europe’s largest balloon festival. Twenty-one balloons took part in the evening event. Gusty winds have largely kept the balloons grounded at this year’s festival but fireworks ensured Saturday finished with a bang for the thousands of visitors in attendance. It is estimated around 500,000 people visited the Fiesta from 11-14 August.